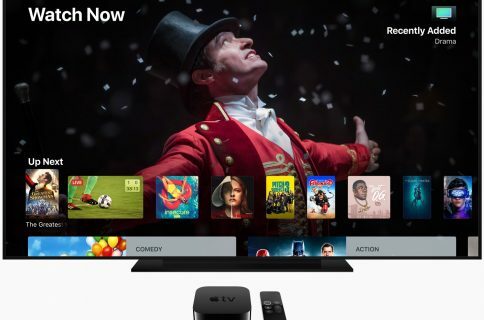 Navigating the tvOS interface on the fourth-generation Apple TV using the Siri Remote couldn’t be easier—that is, unless your vision is impaired or you simply have difficulty discerning if an on-screen item is selected or not. 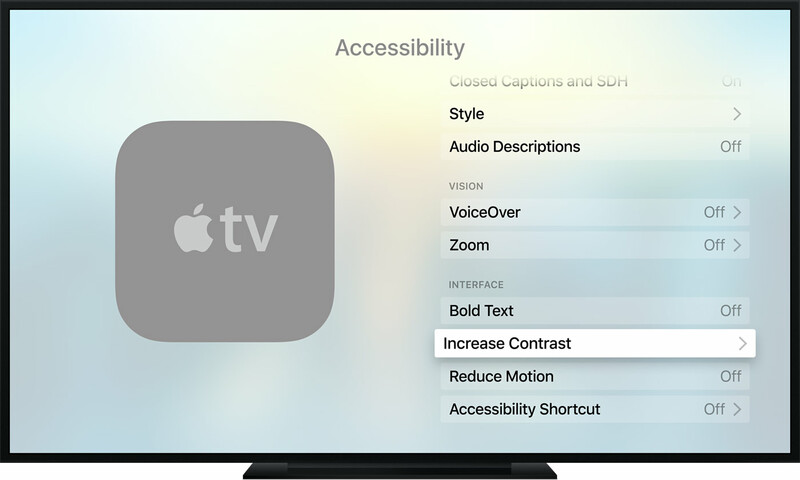 Apple’s robust set of Accessibility controls come to the rescue via a dedicated switch in Settings that enables a nice glow effect around the selection rectangle to highlight selected items further. 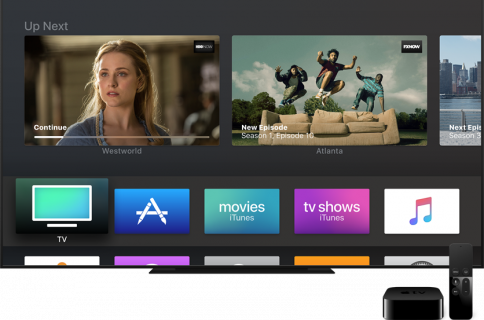 In this tutorial, you will learn how to turn on a high-contrast cursor on your fourth-generation Apple TV with just a few taps to better delineate focused content. Even if you have perfect vision, you still might have trouble making out which Home screen icon is selected at a given moment. Check out the screenshot top of post: the Music app icon is currently selected but it’s not immediately obvious, now is it? 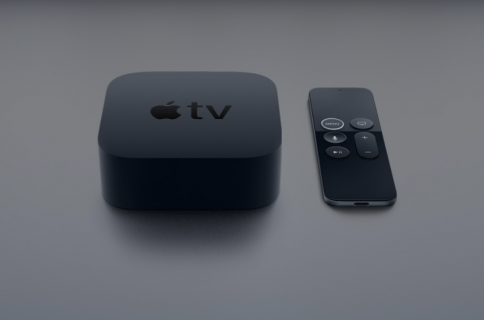 Step 1: Launch Settings on your fourth-generation Apple TV. Step 2: Go to General → Accessibility → Increase Contrast. Step 3: Now turn on Focus Style. Doing so will put a white border around the selected item, like this. For the comparison’s sake, here’s what default selection styli looks like. My vision is fine, yet I’m happily using the high-contrast cursor. In my personal opinion, the default selection style that simply pops an item forward a bit is bad from design and usability standpoint and this setting fixes that. The thick white outline does a fine job highlighting selected items further and should most definitely help you navigate the interface faster. And if you choose Bold Text,you can make the text easier to read across elements of the tvOS interface. 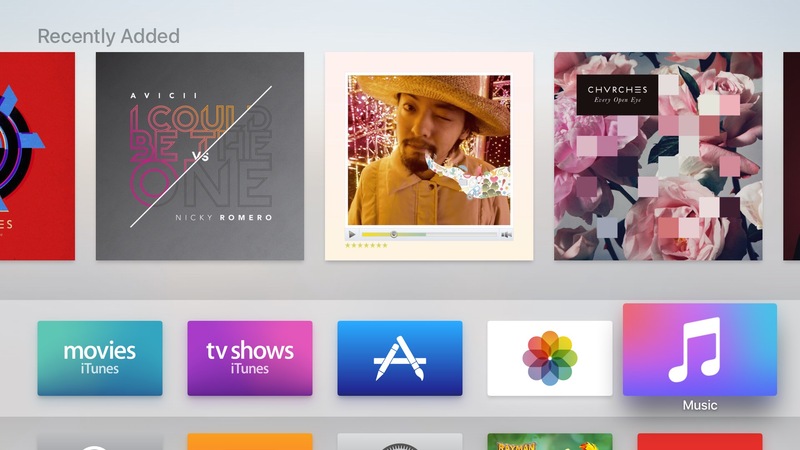 tvOS provides more ways to make on-screen items easier to see and read. In Settings → General → Accessibility → Increase Contrast, turn on Reduce Transparency to kill blurred image backgrounds and reduce the transparency of background elements on Movie and TV Show pages, menu tabs and more. People suffering from motion sickness can select General → Accessibility → Reduce Motion. 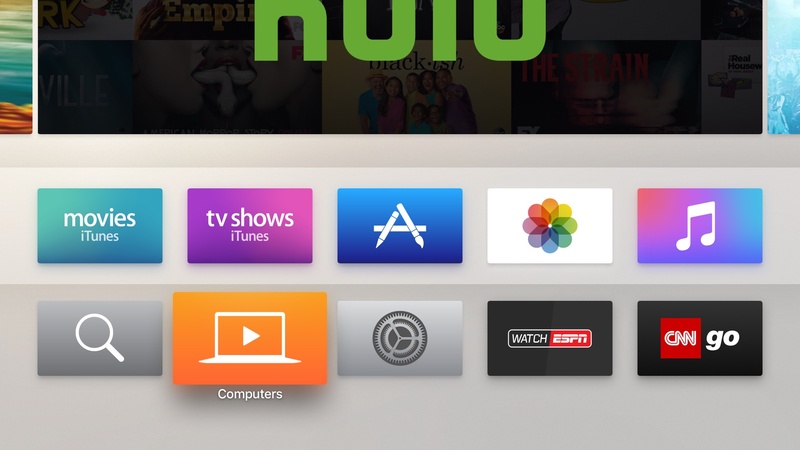 This will stop the movement of app icons, movie posters, and various other screen elements on the Apple TV while making some actions visually simpler, including moving between app icons on the Home screen and launching apps. Did you find this tip useful? If so, do pass it along and send us your feedback at tips@iDownloadBlog.com.